Shoal Creek Desk Jamocha Wood By Sauder. 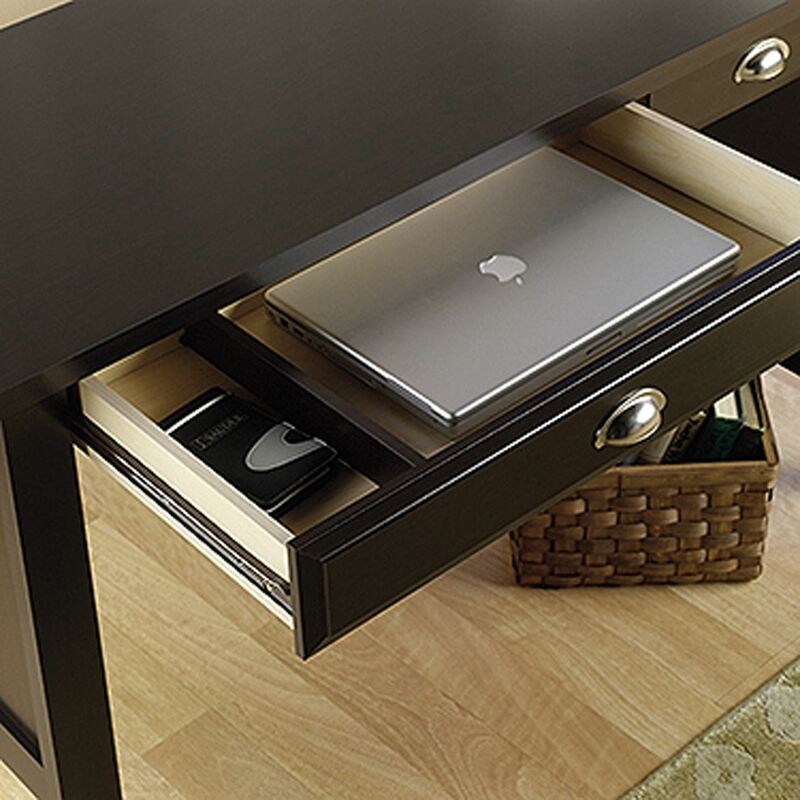 Larger drawer features removable divider. With country roots and contemporary soul, Shoal Creek's inviting, casual appearance offers a stylish alternative to the traditional home office. The warm espresso finish is accented with soft nickel-finish bin-style drawer pulls in a distinctive updated shape. 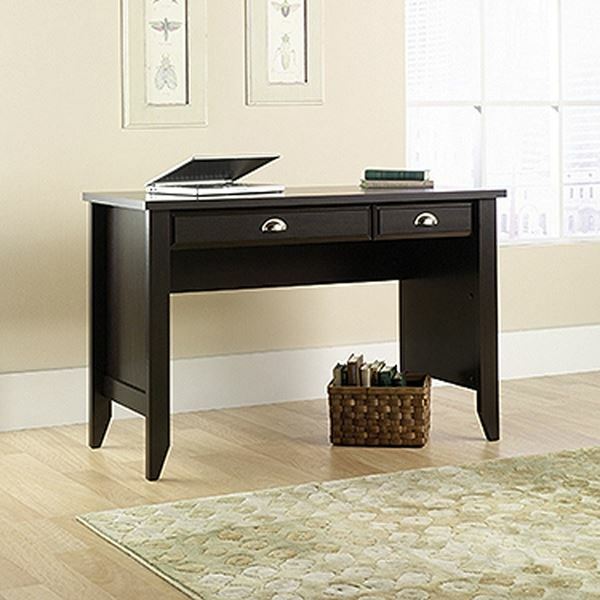 Tapered legs and sculpted drawer and door edges confirm this design's country origin. The warm, casual appearance hides a heart built for technology. 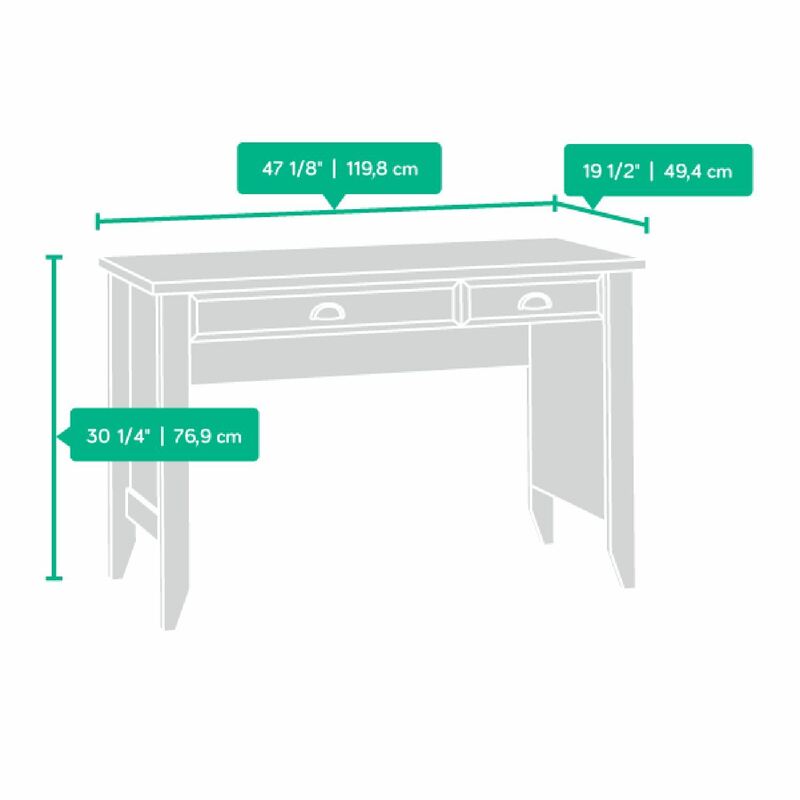 Each piece is designed with appropriate cable management and correctly dimensioned with storage for everything from files to media. All pieces require customer assembly.